“Golden Days: A Celebration of Life” is the theme of the upcoming 85th birthday celebration for President Thomas S. Monson of The Church of Jesus Christ of Latter-day Saints to be held at the Conference Center Friday, 17 August, at 8 p.m.
Beloved Broadway selections and other favorites will be performed by the Mormon Tabernacle Choir, Orchestra at Temple Square and notable guest artists. “We are very pleased that talented solo artists will be joining the choir to honor this great man,” said choir president Mac Christensen. 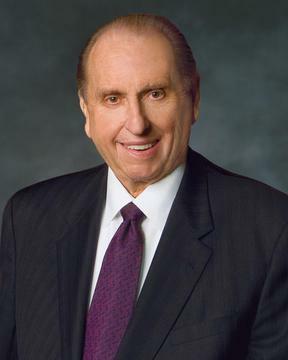 “I happen to know the songs being performed will delight President Monson.” Guest artists will be announced at a later date.